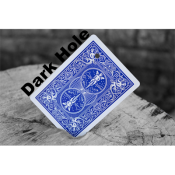 Dark Hole is a moving hole effect which allows you to show card face up while moving a hole. Your spectator selects a card then you punch a hole in it. With a simple touch, move the hole to the other side of the card! End totally clean. Everything is examinable Easy to construct. 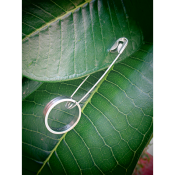 You throw a solid ring on a safety pin and it penetrates through the pin, linked together visually . It's a very visual link and leaves your spectator's jaw dropped! No gimmicks are used (it's a real safety pin and ring). Ready to go anywhere.